If you are on the market for a all-in-one printer to do your scanning, then you know that there are many to choose from. There truly is a printer for everyone no matter what it is that you need it for exactly, be it photo printing or large format scanning and printing. And as with anything else you purchase, you want to know how to find the best printer to buy. Well, that decision mostly depends on what you are going to be using it for but overall there are a few main features and ideas to help you whittle down your choices to a manageable list. Here are some general guidelines to consider when shopping for a printer. You obviously want a printer which has a high resolution as the resolution will determine the quality of the print. You’re in pretty good shape there because even the lowest priced printers these days have adequate resolution to get most jobs done in a satisfactory manner. You can find the resolution listed on the side of the product’s box, or if you are searching online you can usually find it in the product description. Do expect to pay more the higher you go on the resolution scale. If you are going to be using the printer for photos then it is recommended that you buy one that is specifically meant for photo printing. This is important because if you try photo printing on a plain old regular printer they will not come out quite as good because the printer is meant primarily for text printing. 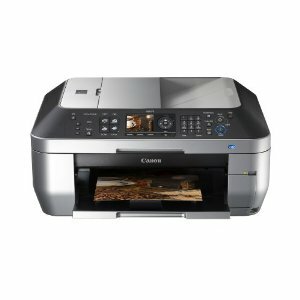 Another plus is that these types of printers often enable you to connect your camera or media directly to the printer, bypassing the need for the computer. For more information see on guide on buying a photo printer. Many printers come today with a wireless option. This allows multiple computers within a home to use that one printer through a wireless connection which is very convenient. 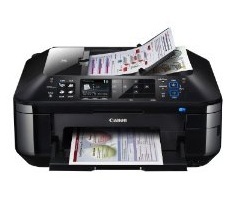 Some printers are even compatible with mobile devices like phones or tablets. Make sure that you are going to have adequate space wherever you plan on putting the computer. Take measurements and match them with the product when you get in the store or look it up online. The good thing here is that you can usually find the printer to fit your needs in a number of different sizes. 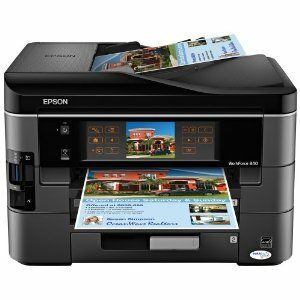 If you are going to be using a printer for business purposes in a home office type of setting, you may want to consider what are referred to as all-in-ones or multi-functional printers. These will be fully functional with photocopying capabilities, general text printing, scanning and maybe even a fax machine hook up. No matter how much the demise of the home phone is predicted, people are still sending and receiving faxes, so until it is pronounced officially dead, do consider an all-in-one with fax capability as these are the best printer and scanner for home use. Another choice that you need to consider is inkjet vs laser printer. Inkjet is the pre-dominant model purchased these days, but laser printers do put out higher quality black and white prints although at a slightly higher purchase price. For the most part, an inkjet model with high resolution should do the job for the average person. But if you need higher quality prints or speed, and your funds permit, do consider the laser models for text printing. An important word of warning though when shopping for a printer. Take the manufacturer’s descriptions about page speed and ink cartridge output with a grain of salt. They always put out the maximum specs usually accompanied by small print or asterisks. If you want the correct specifications or reviews on prospective printers Amazon and ConsumerSearch are excellent places to conduct your research. Finding the best printer for your needs does not need to be made into rocket science. There are so many great choices it is difficult to make a mistake when purchasing. But do shop wisely and do your research yet don’t let yourself become overwhelmed and end up with information overload in the process. This isn’t like picking your spouse. The printer reviews on this site should help you get started as we have focused primarily on some of the bestselling printers. While bestselling doesn’t always translate to the best or most appropriate for your situation, top selling lists have a way of relegating the poor quality choices to the bottom.